Gov. Mike Dunleavy declared a “war on criminals" in his State of the State address, promising more state troopers, prosecutors and reopening the courthouse on Friday afternoons. If the state is going to reduce crime, however, it must also reduce criminal recidivism. Ninety-five percent of Alaskans in prison are eventually released. Because prisoners are released every day into our communities, all of us, including legislators, the governor and his administration should be highly motivated to do what is necessary to ensure that when prisoners are released they do not return to prison as a result of committing another crime, thereby possibly hurting innocent people. If offenders are going to change, they must be given a chance to learn new ways of living and thinking. Without intervention, the mind that created the problem is unlikely to be able to solve the problem. For change to occur, institutional substance abuse treatment, cognitive behavioral treatment, vocational educational and participation in faith-based communities must exist. Each of these tools have been proven effective. When an offender is serving time, the Department of Corrections literally has a captive audience, making it an ideal time to participate in rehabilitative programs. From 2002 through 2006, the department eliminated all but one rehabilitative program. This decision was premised on the flawed belief that people do not change. 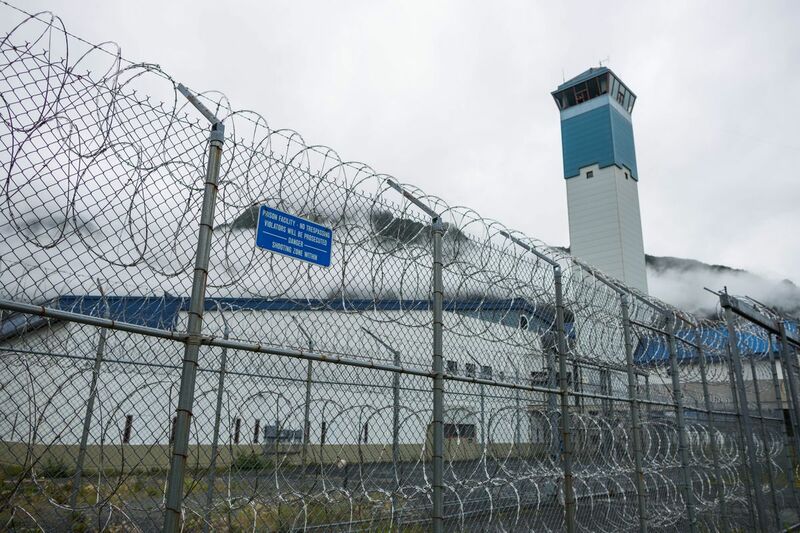 Consequently, Alaska’s prison population grew at a financially unsustainable pace and produced a horrible outcome for the money spent: two out of three prisoners returned to prison within six months of release. In 2006, a new governor appointed career correctional employees to top DOC positions. They embraced their duty to promote public safety and to do so in a cost-effective way. No longer could they open the prison doors to inmates with just a hope and a prayer. The department encouraged legislators to fund needed prison rehabilitation programs and it enrolled other state agencies, the private sector, nonprofits and faith-based organizations to work with the department to improve prisoner re-entry outcomes. The department restored rehabilitative programs inside the institutions and helped create re-entry programs in other Alaskan communities. Over time, the prison population began to decline. The department closed one prison, fewer people on probation went back to jail and communities developed strategies to assist prisoners in finding housing, employment and other temporary supports, all of which helps keep former prisoners out of trouble in a cost-effective manner. These savings in turn became available for reinvestment in substance abuse services and other rehabilitative programs. This change took 10 years and a tremendous amount of hard work to achieve. Now, given recent DOC decisions and statements by the Dunleavy administration, there is concern these positive changes will be swept away, returning DOC to the failed practices of the past. Tom Sharkey, a DOC deputy director, recently stated the “governor’s office is micro-managing us.” Today, every DOC program and regulation is being audited by Amy Demboski, Gov. Dunleavy’s deputy chief of staff, and Donna Arduin, Director of the Office of Management and Budget. Auditing programs to ensure quality, efficient operation and cost-effective outcomes is essential. Of concern here is that these programs are being vetted by Ms. Demboski, someone with no corrections or criminal justice experience and by Ms. Arduin, a former lobbyist for the second largest for-profit private prison company, Geo Group. For reasons that are not clear, the new administration rejected a $1 million Federal Second Chance Act grant awarded to the state in October 2018. Alaska was one of only three states to receive this grant. The purpose of the grant was to assist DOC to continue with its recidivism reduction efforts and finance much-needed improvements with its offender data collection system. DOC Commissioner Nancy Dahlstrom recently stated the administration is considering privatizing additional DOC operations. This is not surprising, given that Ms. Arduin was once a lobbyist for Geo Group. The extent of her influence should not be downplayed. California Gov. Arnold Schwarzenegger hired her to drastically cut the state’s budget. In 2004, she left and joined a spinoff company of Geo Group, which, at the time, was seeking private prison contracts with the state. Schwarzenegger awarded a no-bid $3.5 million prison contract to Geo Group. Privatizing DOC operations will have significant untended negative consequences. The first priority for any for-profit prisons is to make money. The more people incarcerated, the larger the profits. This eliminates any incentive to implement rehabilitative programs to reduce crime and improve public safety. As this administration moves to repeal Senate Bill 91 and considers privatizing state prisons, we face two choices: Should private prison profit margins dictate our laws and impede our ability to provide citizens a meaningful chance to rehabilitate themselves, or should we pursue evidence-based practices that result in people returning to the community prepared to participate in productive work and meaningful lives? Carmen Gutierrez is an attorney and former Deputy Commissioner for the Department of Corrections.